WLEC recognises the value that volunteers can add to its efforts to promote race equality and community cohesion. For many years now, we have provided placements, work experience and learning opportunities for undergraduate and postgraduate students. Their fresh eyes, research interests, hard work and enthusiasm have been an inspiration to us all and have contributed greatly to the ethos of the office. Some of our students have progressed to work in equality and diversity roles in the public and voluntary sectors. People who we accept as volunteers either on a block or part-time basis, are expected to attend our induction session and other educational events as a condition of their placement. They are also expected to make a meaningful contribution to our current work programme. Student volunteers in the past have usually been studying social policy, social science, law, IT or a related subject. Our work is likely to have most relevance to these subject areas. We are happy to talk to tutors and supervisors. We are able to provide limited academic advice and support. Unfortunately, space and time constraints limit the number of volunteers we can accept. We have volunteers who give their time for several days a week, and volunteers who attend the CAP sessions on a Saturday. We depend on our volunteers, which come from all walks of life. Some have legal background, some don’t. We are always keen to hear from those who might be able to lend us a hand. We currently have 50 or so helping us in one way or another, some only 1 day a week, but quite a few more. We will interview you and give you an induction if we feel you can assist us. We prefer a commitment over several months. The benefits of volunteering with us are that you will gain experience in advising, dealing with a range of different clients, telephone skills and legal skills. 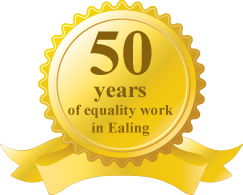 Please click here for the new Ealing Advice Directory.